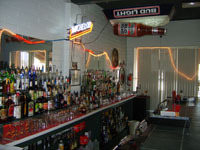 The Tucson Bartending Academy has trained Tucson's bartenders since 1999. Our school is owned and operated by actual bartenders. Tucson Bartending Academy is licensed and regulated by the Arizona State Board of Post Secondary Education. Are you looking for real world experience from real world bartenders? Our school offers hands on training from experienced bartenders. After all anyone can memorize recipes, but it takes a Mixologist to make a good drink. "An education always develops a foundation for success"
When you visit the Tucson Bartending School do not expect a classroom when your arrive, it is set up exactly like a bar. Classes are small usually 5-10 students and they are not sitting around taking notes, this is a very hands-on experience. If you get a bartending job without prior knowledge, you're gonna be lost. Our "hands on program" puts you a year ahead of any on the job training. The owner of the Tucson Bartending School has over 40 years of bartending experience and he started his career taking a bartending course in 1973. These programs are proven and they work. Tucson has been training and placing bartenders for 12 years and we expect to be doing it 12 years from now. The Tucson Bartending Academy has 6 functional bar stations, including all the bar supplies and bar equipment needed for training. The Academy offers Arizona Liquor Law class certification to graduates valid for 3 years. The curriculum is extensive and your class time involves instructors preparing and explaining drinks then you build and mix drinks behind the bar to gain confidence and experience. Practice time behind the bar is "unlimited" whether it takes you 30 hours or 50 hours of practice we make sure you are ready. Our licensed instructors are always available for extra help if it is needed. The class has always been affordable you can expect to make back your tuition bartending several shifts as bartenders average $15-$20 per hour and more. The Restaurant & Hospitality Industry outpaced the overall economy for the ninth consecutive year and the industry is expected to add an additional 1.8 million new jobs over the next ten years. When it comes to job security. Our program works, you can get a bar job and be a year ahead of someone who has not taken the class. Hands on training for confidence. A job that is in demand. Bartend full and part time & on call events parties & events. Make $15-$20 per hour and more. Lifetime support from a licensed Academy for training and job assistance. Cover your tuition cost in several bartending shifts. But seeing is believing and only by contacting our staff to see the Academy facilities, talking with the instructor, understanding how we and graduates started a bartending career will help you make a decision. 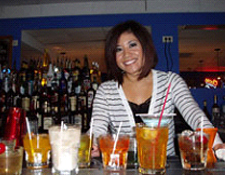 Training & Placing Professional Bartenders in Tucson and Southern Arizona for 12 Years. Our professional bartending class takes 2 weeks to complete and students can come in as much as they like for practice behind our bar. Classes are limited in size so pre-registration is important, you can register over the phone or in person, classes start twice a month.